We promised to share what you can make with all the cute free fonts we’ve been sharing and this is a cute example, St. Patrick’s Day style! 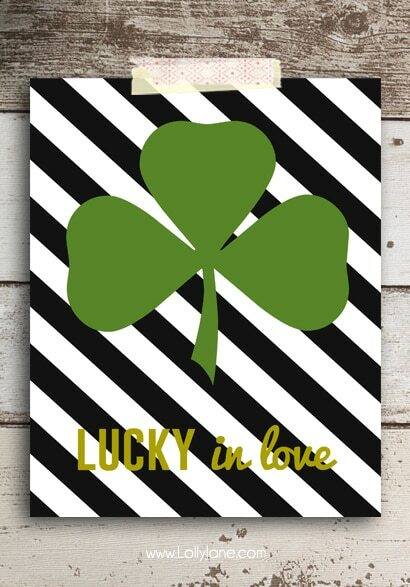 We love the stripes mixed with the green shamrock and gold words! 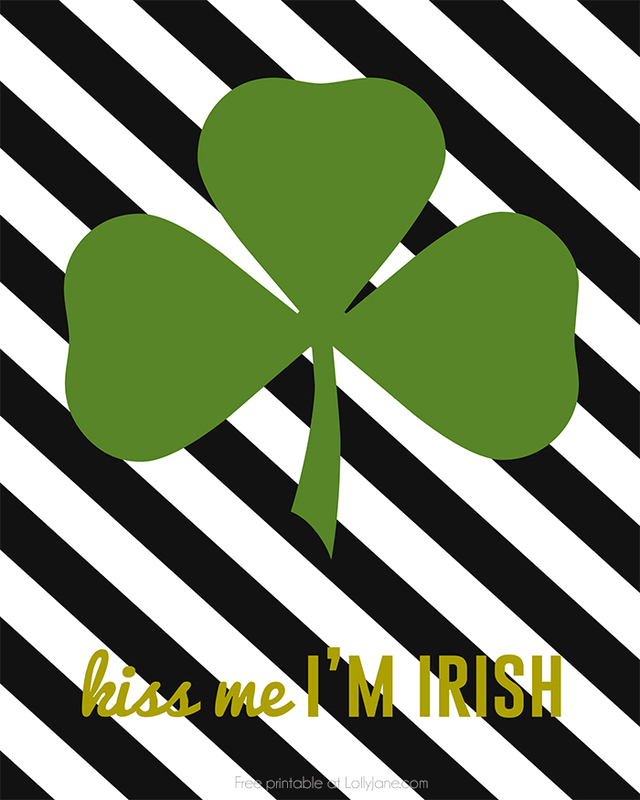 Here’s how to make this printable striped shamrock art! We used the lowercase letter “v” for the shamrock element from the font KR St. Patricks Day shared on our 11 free St. Patrick’s Day fonts roundup and centered it over some uppercase “I” letters in Champagne & Limousine font, stretched out to create stripes. We used the fonts Go Bold + Pacifico for “Lucky” and “in love“. 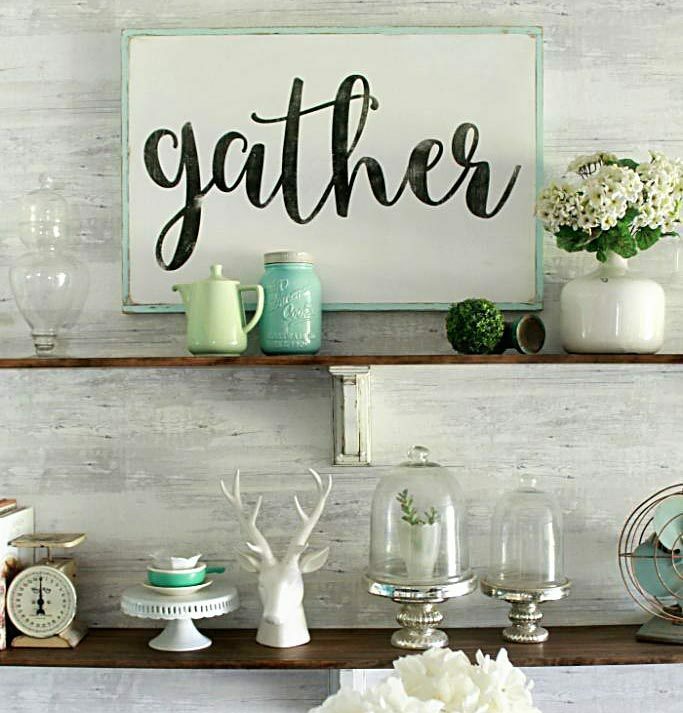 I use Photoshop Elements to create printables and simply maneuver the elements around. Easy peasy! We also whipped up “Kiss me I’m Irish“, “Happy St. Patrick’s Day“, and “You Are My Lucky Charm“. These are available in 8×10; they are full resolution so you can size them smaller if need be. Just print and frame for instant St. Pat’s decor. 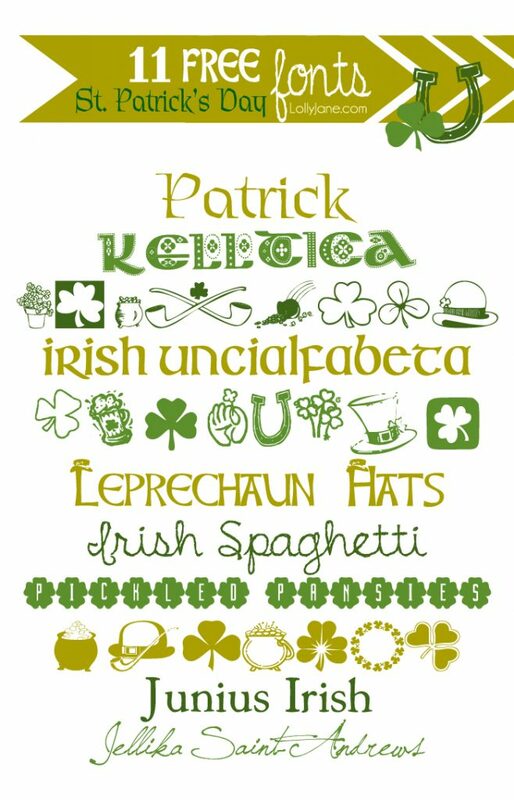 Here’s a peek at other cute St. Patrick Day font choices if you want to make your own printables! 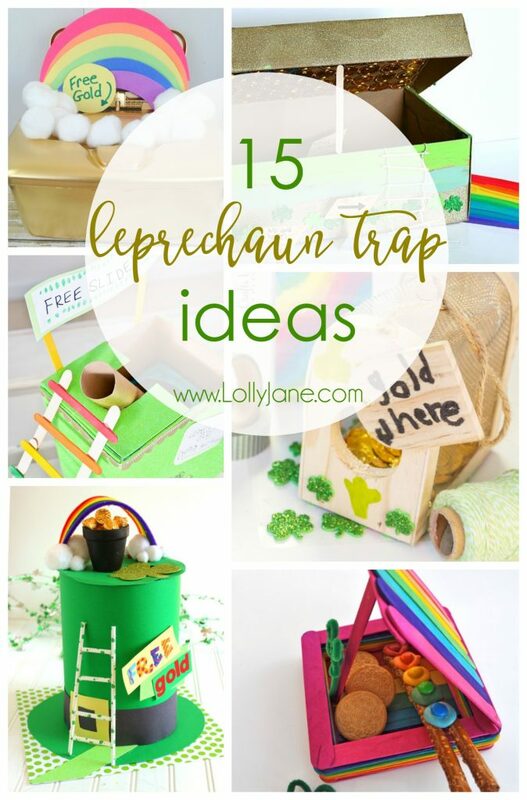 Check out even more St. Patrick’s Day crafts, free printables, and inspirational roundup’s! Super cute–I love the stripes! Super cute! Shared over at my blog 🙂 Thanks!